Description: WWe R Memory Keepers Hand Tools Kit is the basic tool set every pro crafter needs. 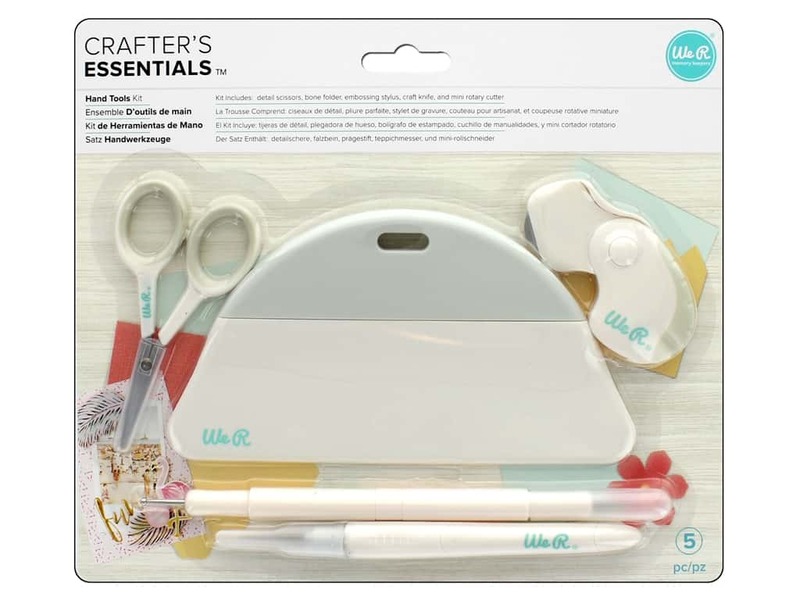 Includes: mini rotary cutter, craft knife with cap, embossing stylus with paper piercer, large bone folder, and detail scissors. See more We R Memory Keepers Tools.